Ahoy there! Set Sail to Southeast Asia on our top 4 pick of luxury cruises: The waters of the Mekong Delta and Halong Bay in Vietnam, and Ayeyarwady and Chindwin River in Myanmar are simply thrilling. Wind through rivers, swamps and islands and witness the colorful floating markets, villages, grottos and pagodas in this magical maze. The best way to explore these spots is with a luxury cruise, fit for royalty! You will understand why Queen Elizabeth II loved her ship, Britannia, to visit the British commonwealth. Life aboard a luxury cruise ship is undecidedly opulent with comforts you might not expect. Continue your southeast Asia vacation in style aboard our preferred vessels of desire. With an expert, local crew on hand to provide you with exceptional service, these are affairs to remember! 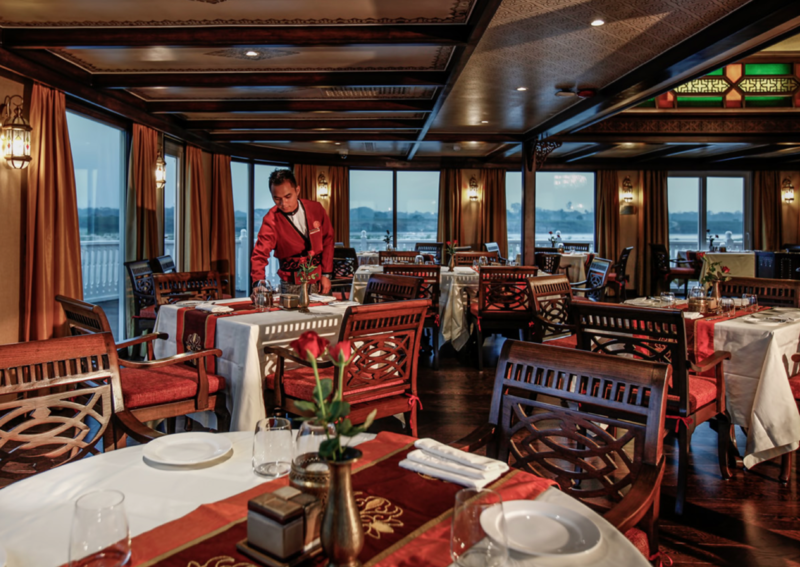 Our most luxurious cruiser, The Jahan provides you with a glittering experience that begins with the pop and a sizzle of Prosecco being poured out for your morning feast from the comfort of your own private balcony. Watch the waves skip after a delightfully tranquil night’s slumber in your well-appointed cabin room. You can rest your head in one of the two decadent suites, 12 superior staterooms, one of the eight upper deck deluxe staterooms, or in one of the four perfectly placed signature suites, complete with a four-poster bed. You can spend your time in the Apsara Spa or on the pool deck, which boasts a jacuzzi and an intricate Turkish mosaic tiled swimming area. In the afternoon, you can dress to the nines to enjoy a traditional high tea in the al fresco, British-styled Viceroy Hall, a whimsical nod to yesteryear, as your paper fans flutter in the fresh breeze. As the sun sets, head to the colonial-oriental themed East India Club for a tipple. With its panoramic windows, the observatory is an ideal spot to watch life on the Mekong pass by or for a private candlelit dinner. 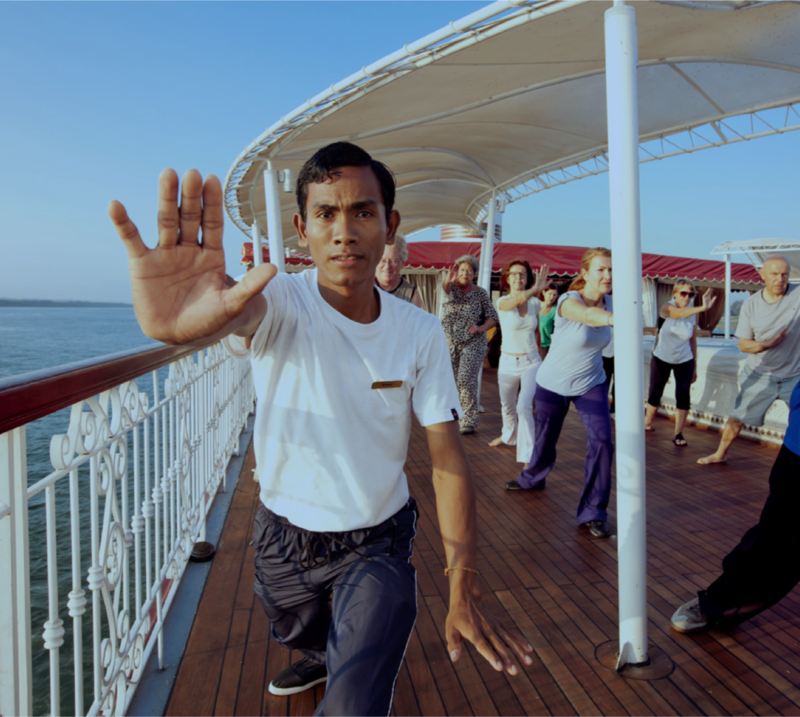 Experience the finest cruise in Myanmar! The great Anawrahta was built to resemble a British paddle steamer, as a nod to the opulence of the British Empire during its colonial reign of Myanmar, with its polished laquer, shining brass and intricately carved woodwork. 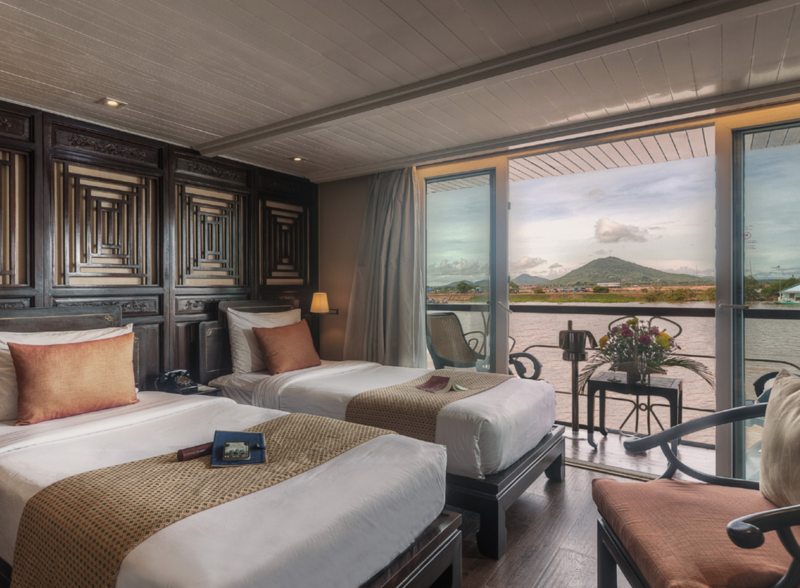 The ship provides an impressive stay with its large cabins and, named after the royal founder of Burma, (what is now modern-day Myanmar), the influence of Buddhist architecture is intertwined with the colonial presence that resounds proudly throughout. Expect delicious cuisine presented on pressed white tablecloths in the elegant Hintha Hall restaurant, and comfortable rattan chairs in the Mandalay Lounge, which much resembles an old colonial club. You can enjoy relaxing treatments in the vessel’s spa, which is inspired by Mandalay’s White Hsinbyume Pagoda, before heading to Kipling’s Bar for a drink, where you can watch the world float by. Allow the natural beauty of Halong Bay extend indoors when you take a cruise on the gracious Ginger. Taking on the elegance of the Ming Dynasty and classic Indochinese design with warm timber floors and marble bathrooms, this boutique vessel is home to 12 spacious suites, beaming with fresh, natural light and a private balcony. You can rest your head in one of the three categories. The restaurant provides a live cooking display, which is beautifully framed by an al fresco seating area. Unwind in the indoor bar before or after dinner. 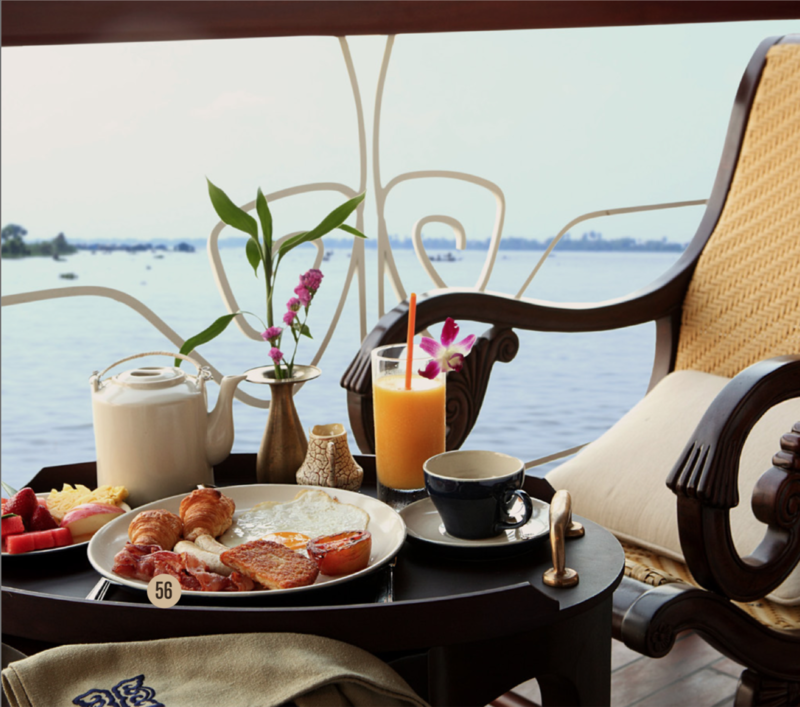 On the sun deck is a swimming pool with comfortably shaded sunbeds, ideal for viewing Halong Bay in style. There are also several spa rooms, including one with a steam bath, which look out onto the dramatic vistas with floor to ceiling windows.